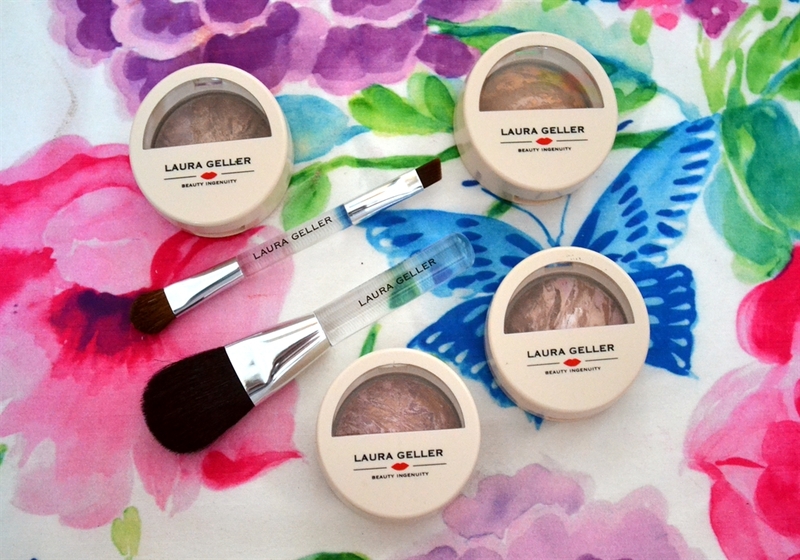 If you are a regular reader of my blog you probably know by now that I am quite a fan of Laura Geller makeup. For those of you who have not heard of this brand before it is American created by makeup artist Laura Geller herself. The only place it is available to purchase in the UK is via QVCUK. There are so many products I really want from her website direct but they do not ship to the UK so I have to be patient & wait for more to be introduced over here. The makeup is on the pricey side but the quality is amazing & you get a lot of product for your money so I don’t mind spending out that little extra. My all time favourite product of hers that I would highly recommend to all is the champagne spackle primer, this is just an incredible product & keeps your makeup in place all day like no other primer I have come across. 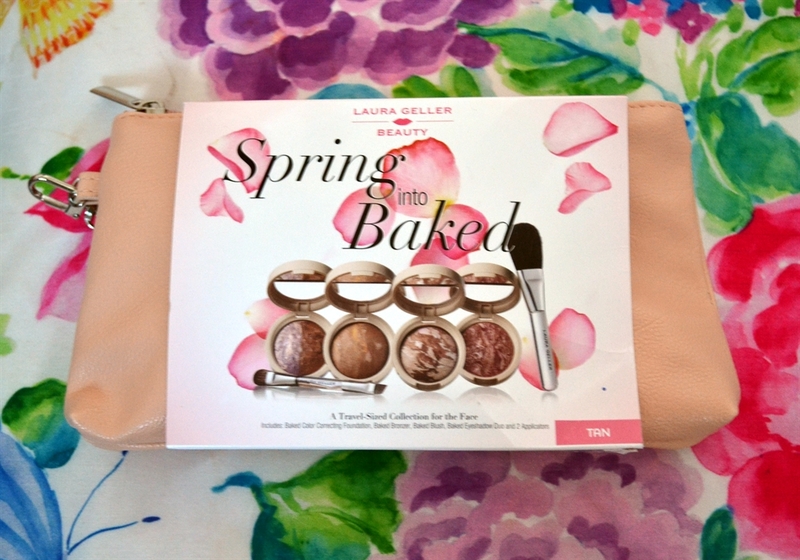 I am a complete sucker for when something new comes out over here, recently I picked up a try me kit Springe into Baked Collection, this is still very much available & is currently being sold at an introductory price of £29.98. I would say if you have been intrigued by the brand before or are now this is a great little starter kit. Included in this mini set is the famous balance n brighten baked foundation, it contains colour correcting pigmentations & has so many different tones included in each shade this can be matched to many different skin colours. 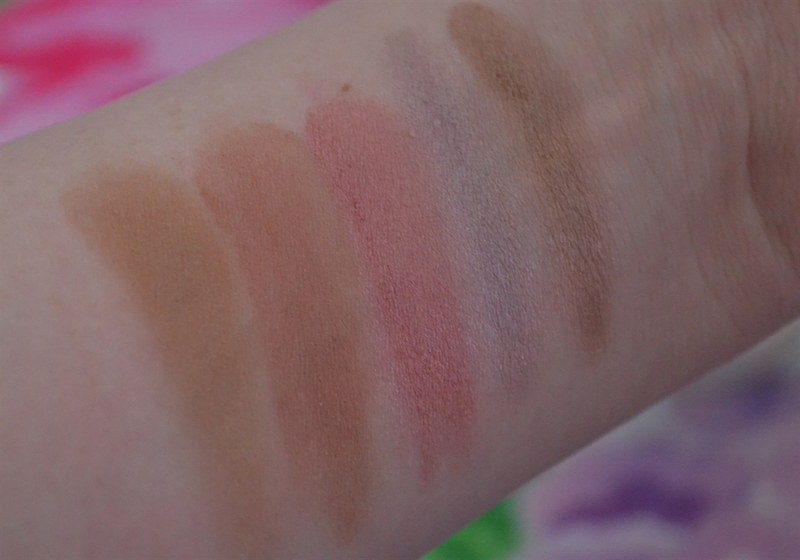 The shades available are porcelain, fair, medium, tan & deep. Normally I would wear fair for the colder months, I have picked up a medium for summer & in this particular kit I purchased the tan so I can use this foundation for contouring. The foundation started off as a cream & gets baked for 24 hours, it comes out as a powder but blends in like a cream. It is very different to any foundation I have ever tried before, this is a medium coverage but very buildable to full coverage & doesn’t look cakey. 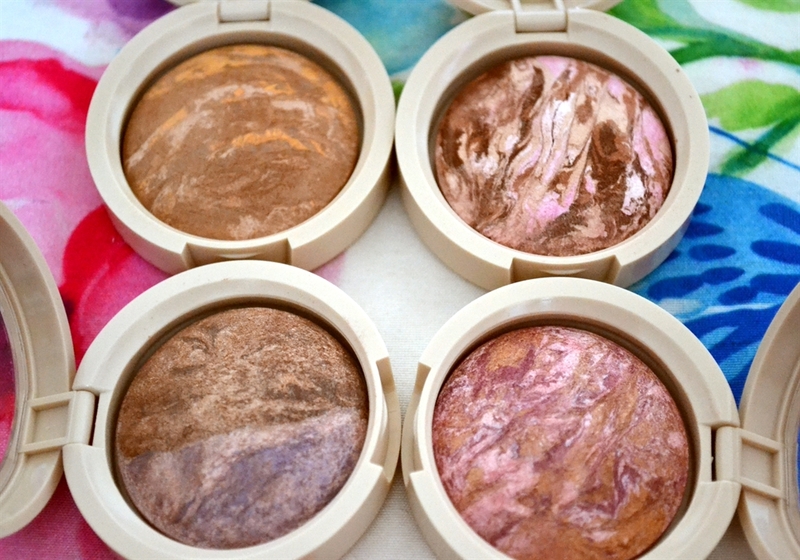 The next product included is bronze n brighten colour correcting bronzer, this colour has been matched to go with the foundation, I haven’t tried it yet but I already own a bronzer from the brand & it is amazing, there is no orange tone to it at all it is just a beautiful all round bronze that can be used anyway on the body as well as the face. There is a blush also included in the set, the blushes are really great, because they are baked & also started their life as a cream they blend in so well & the colour pay off is just amazing. These create a very natural flush of colour. The last colour product included is an eye shadow which is split in two so you get two shades to choose from but work really well together. The great thing about the shadows are they work really well wet or dry, of course if you want to intensify the colour it is better to use them wet. Again they are very blendable like all the products from this range. 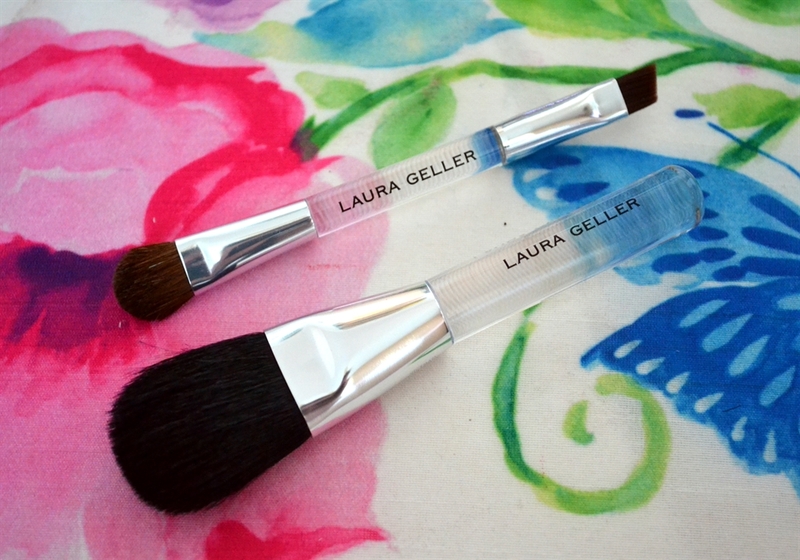 The nice thing about Laura Geller sets is she always includes brushes, so there is a mini powder brush suited for both the foundation & blush, there is also a mini double ended eye shadow & liner brush. The above are of course just to give you an idea of the quality of the products & colour payoff, normally the foundation I buy is a lot lighter but I think the one above will work nicely as a contour colour. I love laura geller spackle! My current tube literally only has drops left in it! I’ve never tried the champagne one though, this set also looks beautiful! The quality of Laura Gelller’s make up is beautiful. I especially love her lip glosses.